I LOVED how it turned out. 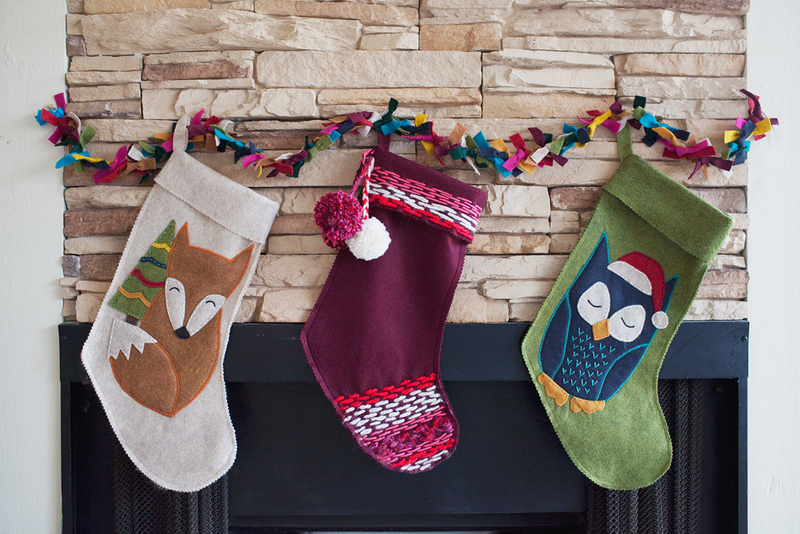 Guess me and the husband will be sharing a stocking this year ha ha I am pretty much done with Christmas crafting for this year! 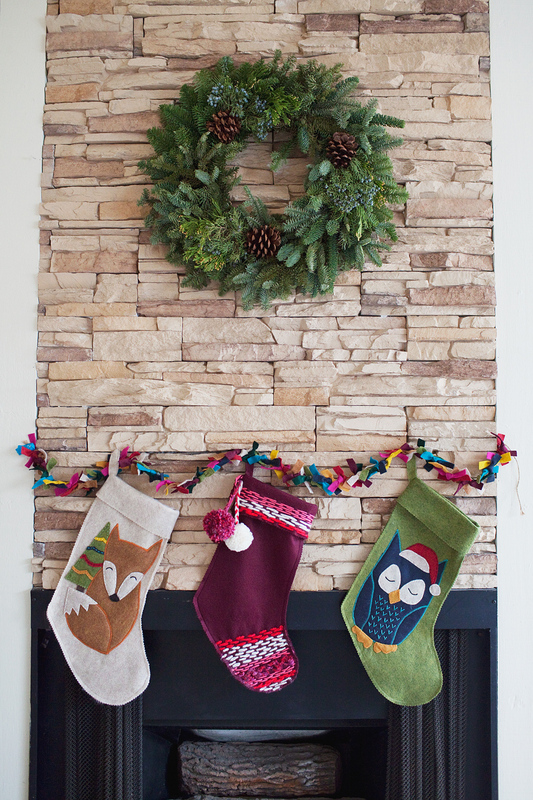 Cut out stocking with pinking shears. 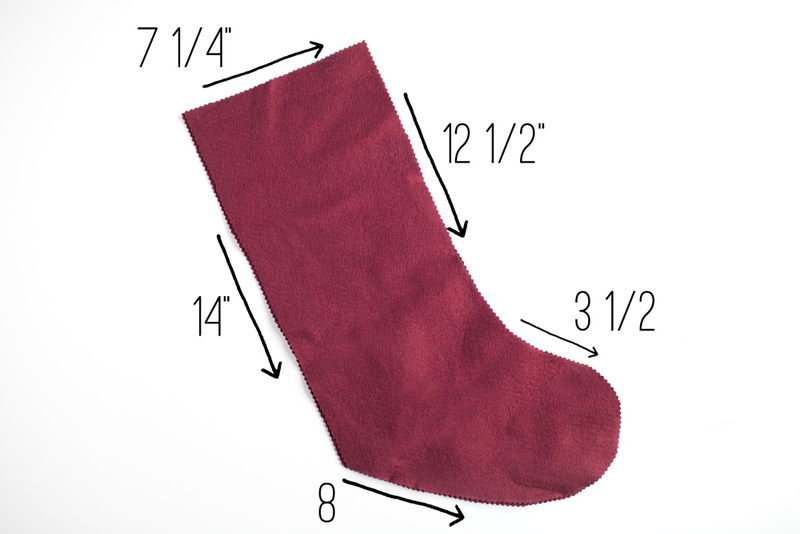 You can trace an old stocking (which is what I did) or here are the measurements of mine which will help if you want to do it free hand. Then stitch. 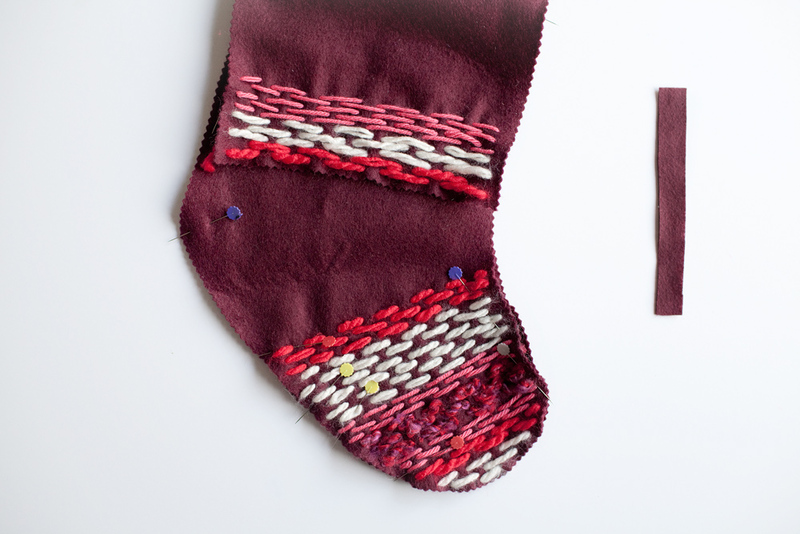 Alternating colors and textures. The thicker yarn is hard to pull through so I wiggled the needle back and forth making each hole bigger then would pull the yarn through. It helped. 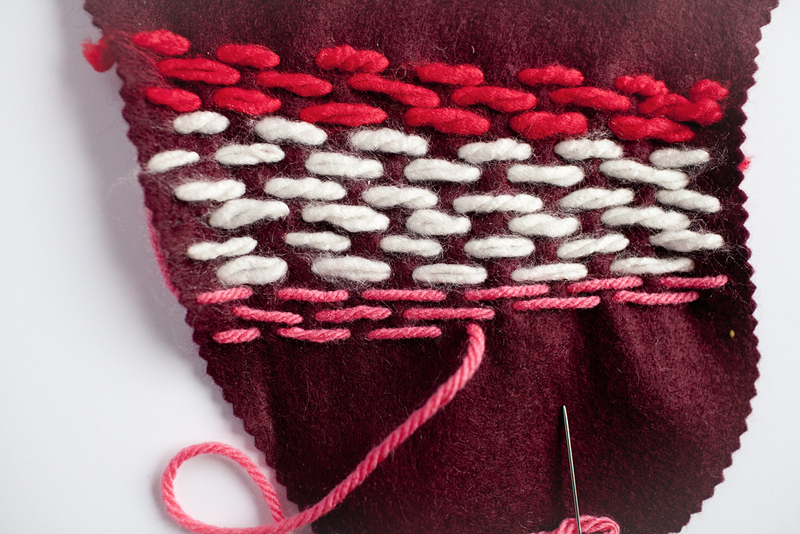 Once you stitch the bottom you can stitch the top. 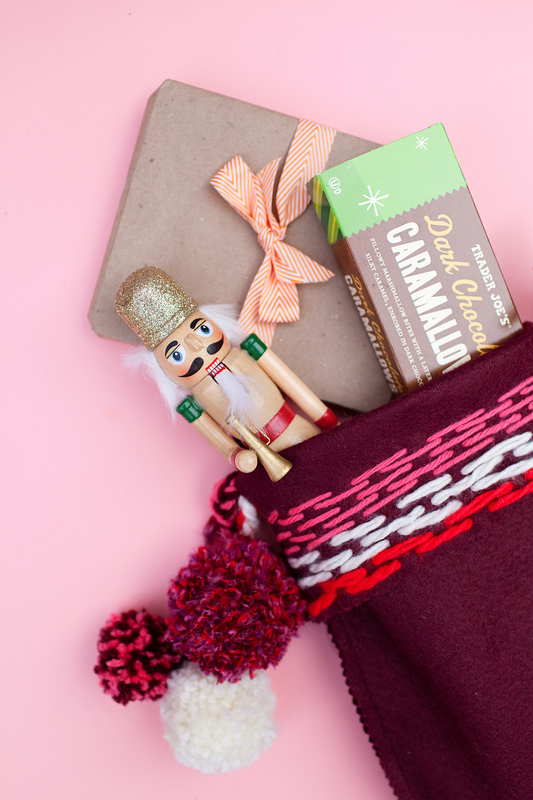 Since the stocking folds over you are going to want to fold the flap down and stitch on the inside. 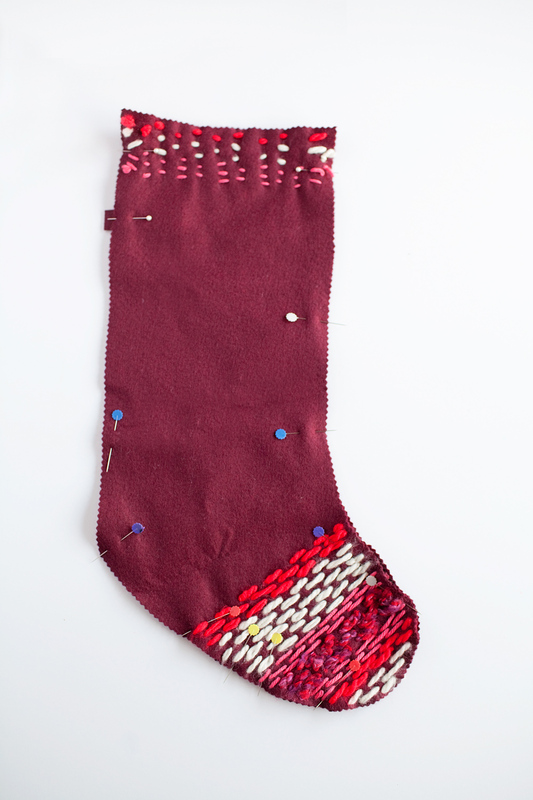 Then pin front and back of stocking together ( I only made stitches on the front of the stocking). 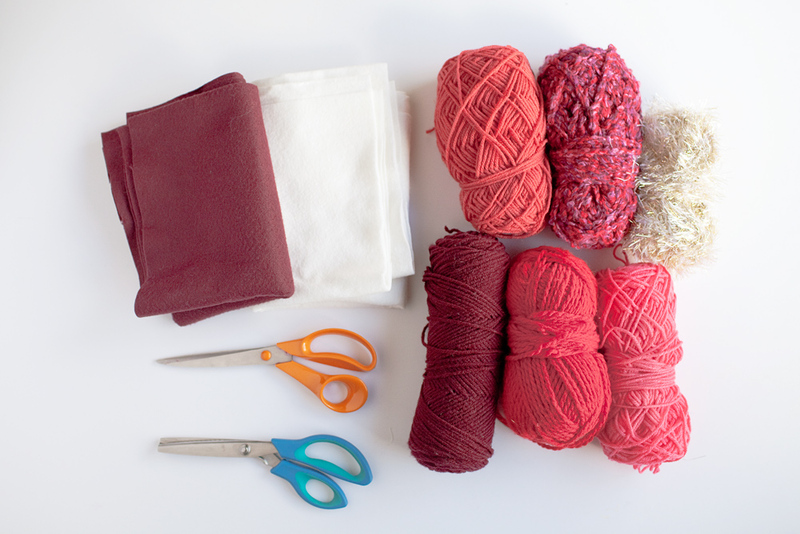 For the hook cut out a small rectangle of fabric. You can make it whatever size, depending on how big you want the hook. 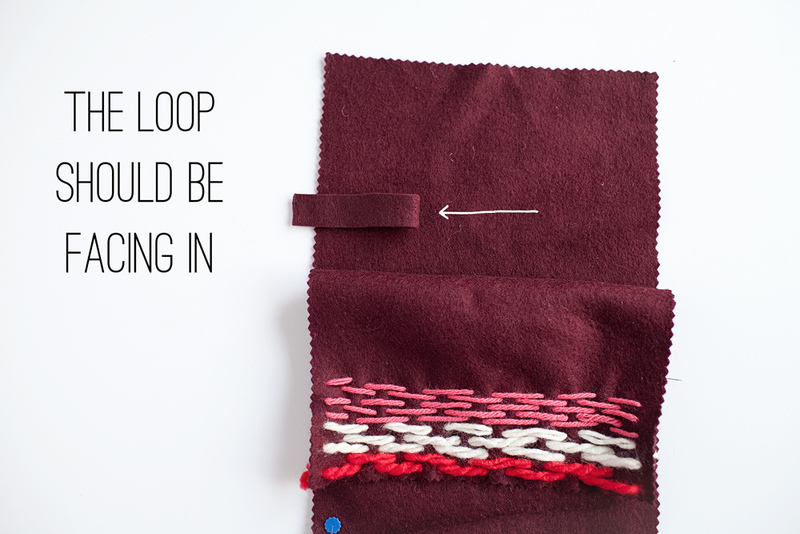 Fold over the loop with the folded edges sticking outside of the stocking. Then pin into place. Then finish pinning all the way to the top. You can see the little flaps of the hook sticking out, and how you can see the other side of the stitch at the top. 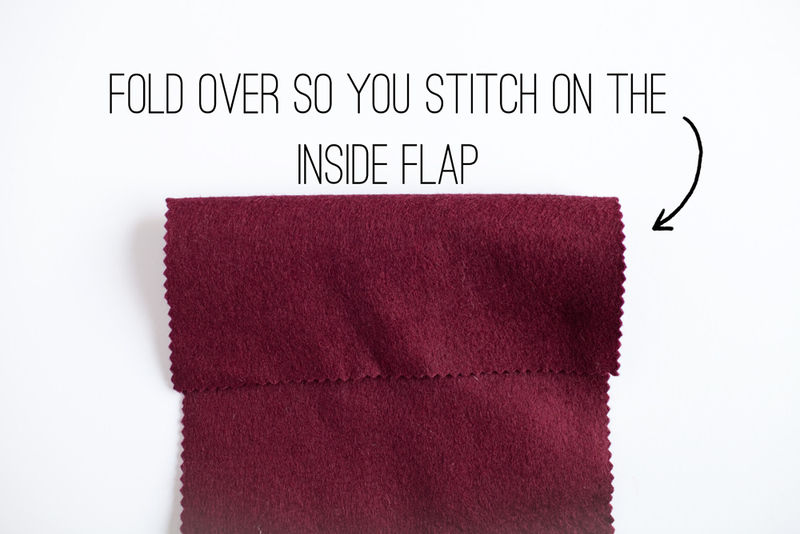 Once you are done sewing the edges you then fold over the top. 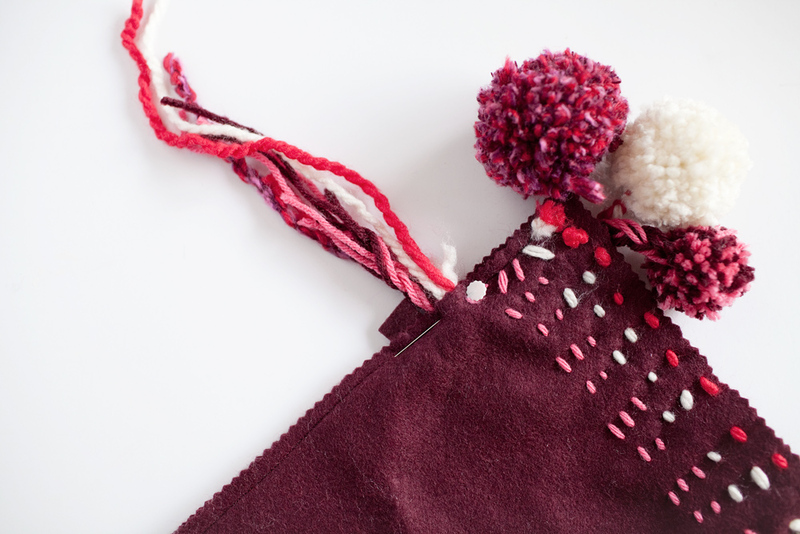 If you want to add pom poms you can stitch them in the same way you added the loop or just tie them on later.